The cabinet has appointed a subcommittee to look into the controversial tender deal to grant the contract of the proposed 300 megawatt natural gas power plant in Kerwalapitiya to a Chinese company. 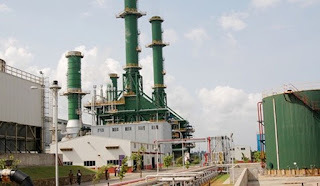 The committee has been appointed on a request of President Maithripala Sirisena, considering the allegations that the tender for the construction of the power plant had been awarded to a Chinese company without due procedures. The Cabinet has decided to appoint a few secretaries to the Ministries in addition to the ministers to the committee. Accordingly, ministers Ravi Karunanayake, Malik Samarawickrama, Patali Champika Ranawaka, Dr. Harsha de Silva, Eran Wickremaratne and secretaries to several ministries including the Ministry of Finance, Ministry of Power and Energy, etc have been appointed to the committee. The President had ordered the committee members to look into the matter within one week and to submit a report to him. The cabinet two weeks ago decided to grant the tender for the LNG plant to a Chinese company. Meanwhile, Minister Patali Champika Ranawaka has given a special report to the cabinet regarding this tender.